Owned by the European Commission, and powered by the Eurodesk network, the European Youth Portal offers European and national information and opportunities that are of interest to young people who are living, learning and working in Europe. It gives information around eight main themes - active participation, culture and creativity, social inclusion, global issues, education, volunteering, working and travelling – and it covers 34 countries in 28 languages. 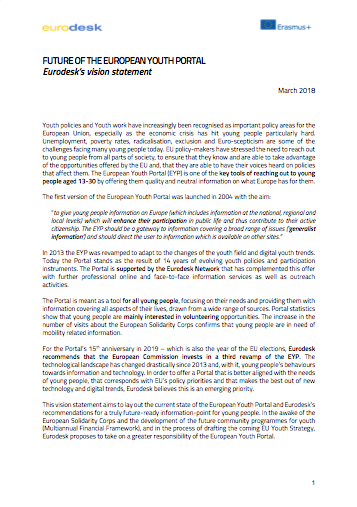 The Eurodesk network also answers young people’s enquiries via the portal in the 8 themes and regarding the European Solidarity Corps initiative. 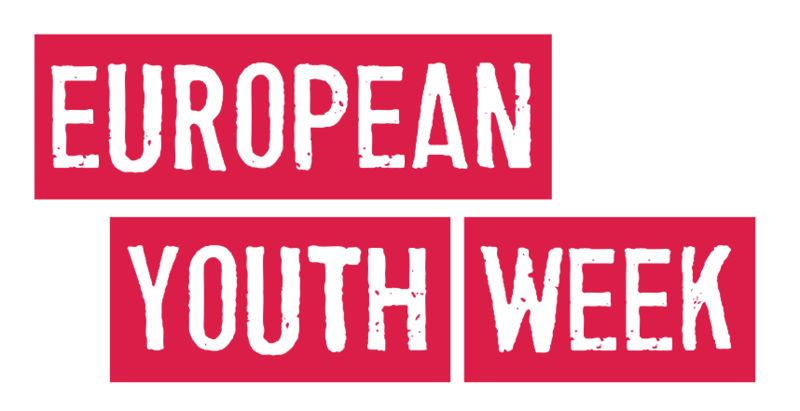 The European Youth Week places every two years all over Europe to celebrate and promote youth activities. It consists of a broad range of events and activities organised in all 33 countries participating in Erasmus+, under the coordination of the National Agencies for Youth. The next edition is planned to take place in 2019. Eurodesk cooperates very closely with the National Agencies in proposing and organising activities during the European Youth Week. In 2017, the Week stressed the values of solidarity, engagement, participation and inclusion in line with EU-level initiatives such as European Solidarity Corps (ESC) and the celebrations of 30 years of Erasmus.